Buy evebolt a coffee. ko-fi.com/evebolt - Ko-fi ❤️ Where creators get paid by fans, with a 'Buy Me a Coffee' button. 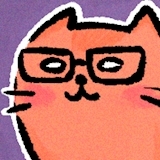 Freelance artist, art youtuber, watercolor enthusiast, cat lover and comic writer/scribbler. Hi! I like to paint and make videos about paints. I also really like cats. All the coffees bought here go toward allowing me to make more art! Secured Payments. Support goes to evebolt's account.